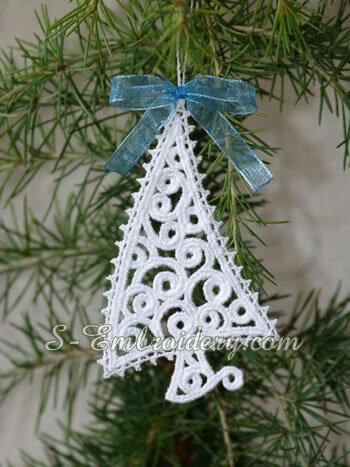 A Christmas tree freestanding lace ornament. This machine embroidery design is delivered in 2 versions: with and without a hanging loop. 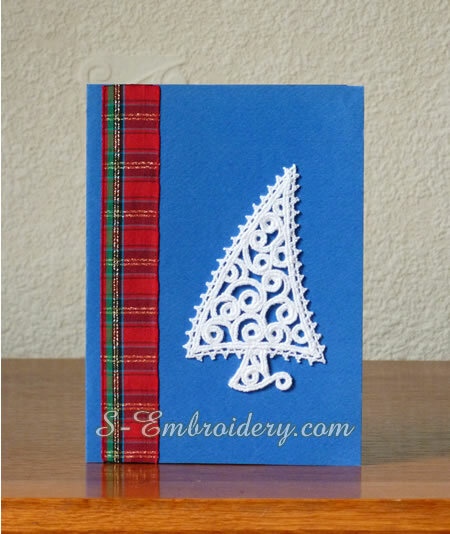 The Christmas tree without a loop is meant to be used for decorating your special hand made Christmas greeting cards, while the version with the loop will make a fine Christmas tree ornament. You receive 2 machine embroidery files in one of the supported formats and a PDF with design information and instructions. Note: The designs will NOT fit in a 4x4 (100x100) hoop.